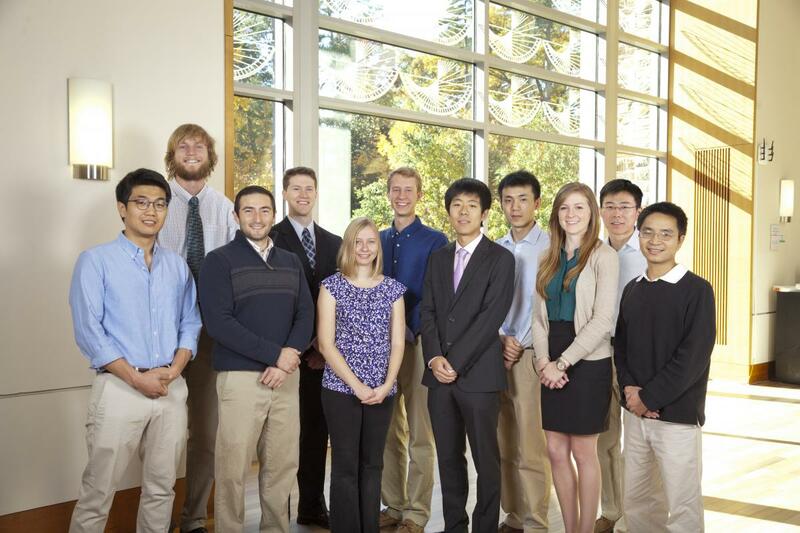 Yusong Bai (Chambers Scholar) is a fourth year Ph.D. student in the Department of Chemistry. He received his B.S. degree in School of Chemistry and Environment in Beijing University of Aeronautics and Astronautics in 2011. 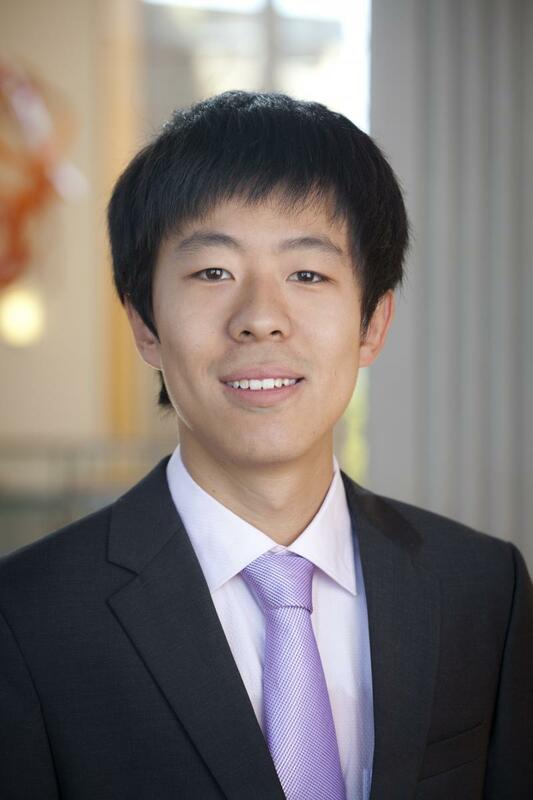 During undergraduate, his research was focused on energy storage and conversion that includes quantum dots solar cells, dye-sensitized solar cells, lithium-ion battery, and semiconductor photocatalysts, which span the range from crystal growth, semiconductor nanostructure self-assembly to devices fabrication and efficiency optimization. In Duke Chemistry, he is working under the advisement of Dr. Michael J. Therien. Yusong’s current work is aiming at molecular engineering of near-infrared (NIR) triplet photosensitizers for frequency upconversion (UC) based on sensitized triplet-triplet annihilation (TTA) to enhance light-harvesting in solar photoconversion. Increasing demand for low-cost photovoltaic (PV) devices requires a dramatic improvement in solar photoconversion efficiency that is hampered by the so-called Shockley-Queisser (SQ) limit, that mainly originates from the inability of single-junction PVs to harvest a wide portion of solar spectrum effectively. Frequency UC based on sensitized TTA, converting low-energy (red to NIR) photons not typically captured by conventional PV devices to high-energy (visible) photons, is considered as one of the promising routes to overcome the SQ limit and significantly enhance solar photoconversion efficiency when implemented in conjugation with existing PV platforms. The current bottleneck that hampers translating this technology into real application mainly lies in developing efficient NIR-absorbing sensitizers that display the necessary photophysics. In this regard, Yusong’s research effort in the Therien Lab contributes to TTA UC area by: designing, synthesizing and spectroscopically characterizing a new library of high oscillator strength (ε > 150000 M-1 cm-1) NIR-absorbing (> 700 nm) triplet sensitizers that possess appreciable excited-state lifetimes (μs). When these sensitizers are utilized in combination with rubrene acceptor/ annilator, TTA UC was readily realized by NIR low-power non-coherent illumination. 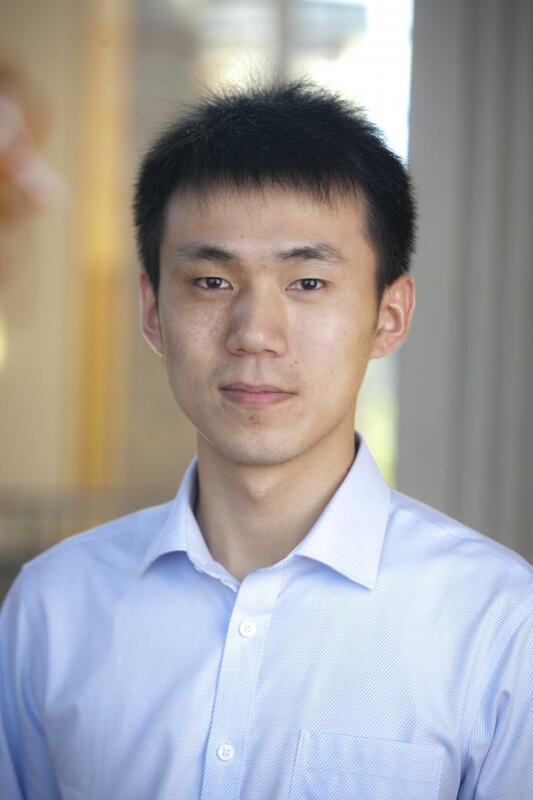 Yusong has previously been awarded Undergraduate Distinction Award (first four years of PhD study at Duke), GPNANO Fellowship, Paul M. Gross Fellowship, and Burroughs Wellcome Fellowship for his research accomplishments. 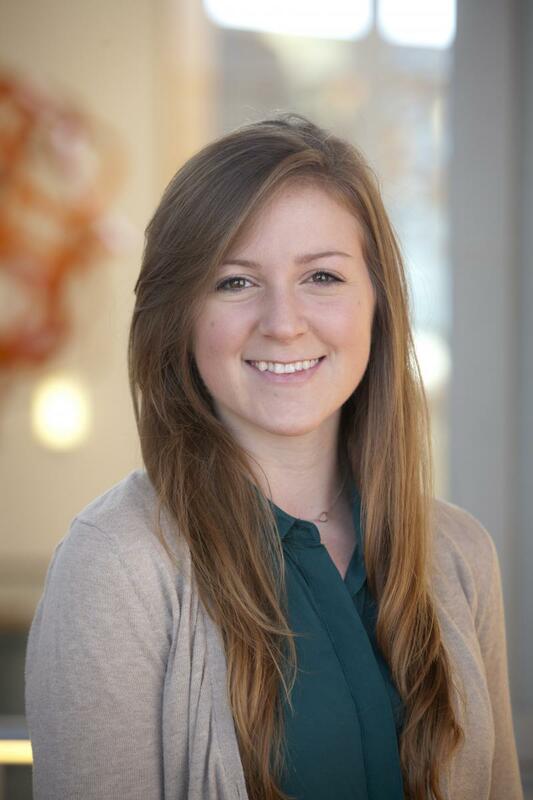 Bridget Crawford (Chambers Fellow) is a PhD student working under Dr. Tuan Vo-Dinh in the Department of Biomedical Engineering. Bridget graduated from The Ohio State University in 2014 with a BS in Biomedical Engineering and specialization in Micro/Nanotechnology. As an undergraduate research assistant in the lab of Dr. Stephen C. Lee, she completed her honors thesis on a point-of-care immunologically modified field effect transistor (immunoFET) for protein detection in biological fluids, used specifically for the early detection of renal transplant failure. The successful development of this sensor has led to the generation of ProteoSense, LLC and it is now being directed towards use in the Food Industry. Bridget also focused on the development of a multiplexed bead-based microfluidics device for early detection of ovarian cancer (OncoFilter). The OncoFilter allows for an inexpensive early diagnosis of a disease whose overall symptoms are considered normal for post-menopausal patients. Outside of lab-based research, Bridget acted as a Research and Development Engineer for Ernie Green Industries and more specifically their subsidiary, eNNOVEA Medical, LLC, from which she has a patent pending. As part of the Vo-Dinh lab, Bridget’s current research involves the development of a SERS-based molecular sentinel nanoprobe for early detection of breast cancer. 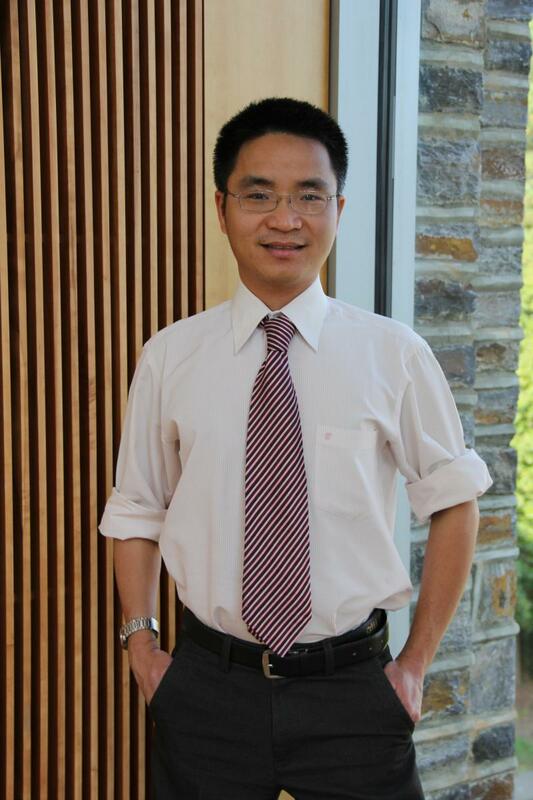 Weifeng Huang (Chambers Fellow) is a first year PhD student under the mentorship of Professor Qing H. Liu in Duke’s Electrical and Computer Engineering Department. Weifeng received his M.Eng (2014) and B.Eng (2011) degrees in Electromagnetic Field and Microwave Technology both from University of Electronic Science and Technology of China (UESTC), Chengdu, P.R.China. During his undergraduate years, he and other three team members completed one interesting project named Keystroke-based Identification System (KIS), which aimed to develop one piece of software to identify whether the user is legal via the user’s keystroke pattern. This project was proposed independently by his team and supported by the Undergraduate Innovative Program of UESTC. As one master student, he centered his research on the modeling and analysis methods for electromagnetic scattering from three-dimensional sea surface, on which one efficient scattering simulator was developed on his own. His current research is on full-wave methods, which are mainly founded on the Finite-Element Method (FEM), integral equation methods and Fast Fourier Transform (FFT). These full-wave methods aim to efficiently simulate the electromagnetic scattering of targets embedded in inhomogeneous multi-layered media. Ye Jin (Chambers Fellow) is a first year Chemistry PhD student, working under Drs. Yang and Beratan group. Ye graduated from University of Science and Technology of China, majoring in chemical physics. As an undergraduate student, his research interests lied on computational and theoretical chemistry, especially in simulating materials properties. For example, his graduate thesis was about designing a spin filter by tuning the spin direction on a specifically chosen graphene nanosheet, which can produce a 100% spin-polarized current while applying a gate voltage on this nanosheet. He also spent a summer time in Oxford University, to study the topic about navigation in birds. The idea was that the sense of direction in birds was originated from the radical-pair electron transfer reaction on birds’ retina. To study this process, we can understand the mechanism in quantum mechanics. His current research at Duke mainly focuses on the treatment for double exciton and Quantum Zeno effect. We now don’t have a rigorous method to treat the double exciton system. And it is also important to know if there is a Zeno effect when exciting the molecules so that we can figure out a way to tune the molecules. Brenton Keller (Chambers Fellow) is a first year PhD student working under Dr. Joseph Izatt in the Department of Biomedical Engineering. He graduated with a dual degree in Computer Engineering and Electrical Engineering from Washington University in St. Louis in 2010. He received his Master’s degree in Biomedical Engineering from Duke in 2013 while researching techniques to acquire, process, and render volumetric optical coherence tomography (OCT) data in real time using graphics processing units (GPU). 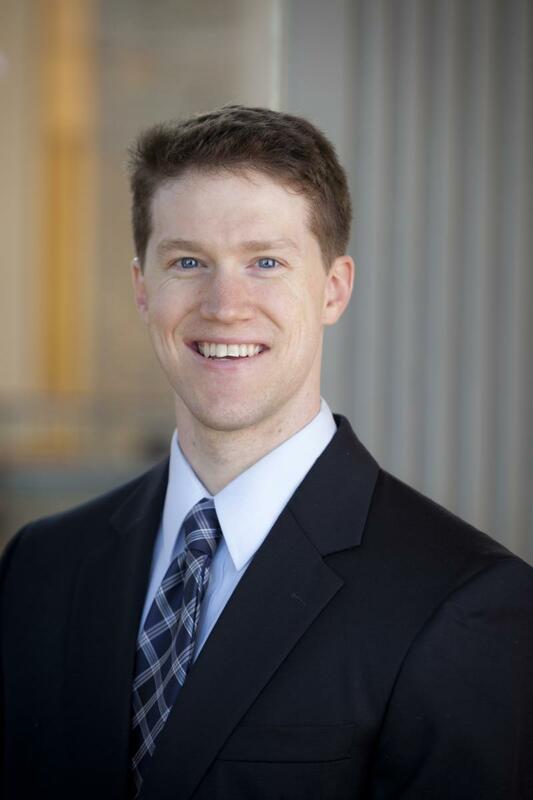 His current research interests include intrasurgical OCT, GPU processing, image segmentation, and robotics. Robert Morhard (Chambers Fellow) is beginning his first year in the Biomedical Engineering program in the lab of Dr. Nimmi Ramanujam. He graduated in 2008 from Carnegie Mellon University with a double major in Biomedical Engineering and Materials Science and Engineering. As an undergraduate, he worked automated techniques to create topographic representations of developing visual cortex, both at CMU and at the Max Planck Institute for Dynamics and Self-Organization in Goettingen, Germany. Additionally, he worked in a biomaterials lab modeling the response to hydration of a phase-changing microfluidic system. After graduating, he began his masters in Biomedical Engineering at the Swiss Federal Institute of Technology- Zürich under the support of the Excellence Scholarship and Opportunity Programme. For his Master's Thesis he worked at the University of Sydney to optimize a low-cost, reflectance-based device to measure subcutaneous fat thickness in order to diagnose infantile malnutrition. At Duke in the Tissue Optical Spectroscopy, he will continue to work on light-related systems to diagnose and treat cancers in low-resource areas. 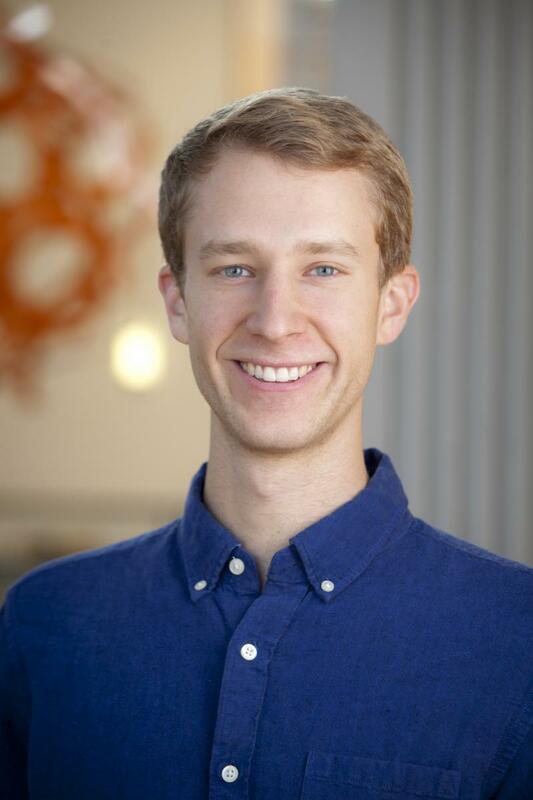 Outside of the lab, Rob enjoys long-distance running, hiking and a good cup of coffee. Hoan Ngo (Fitzpatrick Scholar) is a PhD student in the department of Biomedical Engineering at Duke University since August 2011, joining the lab of Dr. Tuan Vo-Dinh. Hoan is from Ho Chi Minh City, Vietnam. He received his Bachelor degree in Mechatronics from Ho Chi Minh University of Technology together with a Silver Medal for outstanding academic achievements in 2006. He then went to Korea Maritime University, Busan, South Korea for a Master’s program in Control and Instrumentation. During his Master’s program, Hoan worked at Intelligent Robot lab of Dr. Yun-Su Ha where he developed a novel tilt and heading estimation system for underwater robot. At the end of year 2008, he returned to Vietnam and worked at International University, a member of Vietnam National Universities in Ho Chi Minh City. Together with Dr. Vo Van Toi, emeritus professor of Tufts University, and other colleagues, he co-founded the Biomedical Engineering Department at the International University at the beginning of year 2009. Also at this time, he developed a portable respiratory monitor using respiratory inductive plethysmography technique. In June 2011, he received fellowship from Vietnam Education Foundation, a U.S. Federal Government agency, to go to Duke University for graduate study. Under supervision of Dr. Tuan Vo-Dinh, he developed a cost-effective, highly reproducible technique to fabricate large area of the so-called Nanowave, one of the most popular Surface-enhanced Raman Scattering (SERS) substrates so far. He also developed novel DNA sensing techniques including molecular-sentinel-on-chip and DNA bioassay-on-chip. Hoan’s goal in research is to develop new stand-alone and integrated devices for point-of-care diagnosis and global health applications. 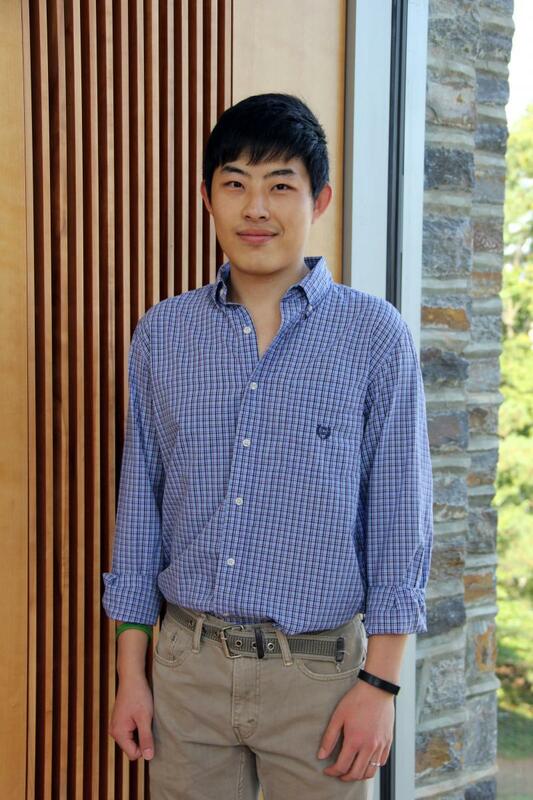 Han Sang Park (Chambers Fellow) is a first year PhD biomedical engineering department at Duke University under the advisement of Professor Adam Wax. He graduated from Duke University in 2012 with a BSE in BME and also received his Master’s in BME in 2014. As an undergraduate, his research interests focused on software development specifically for the application of using nanoparticles as exogenous contrast agent in phase- sensitive optical coherence tomography. His master’s project involved building and optimizing a portable interferometric chamber (InCh) in phase microscopy. Quantitative phase microscopy is an effective tool often used to measure spatial and temporal properties of semitransparent samples. The InCh setup, with its common- path interferometers, is a solution to the instability caused by different vibrations and air perturbations in the separate interferometer arms of a traditional Michelson setup. With its promising stability and relatively simpler system configuration, InCh could be used in less resource enriched settings. 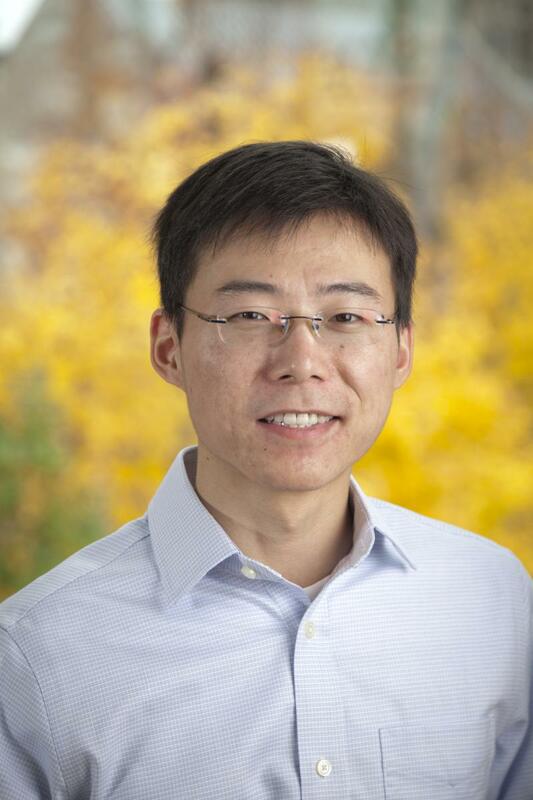 Han Sang’s current research at Duke involves phase- based multiparametric characterization of individual blood cells that allow population identification and quantification. Holographic interference microscopy is used to examine spectral and temporal behavior of static and flowing cells including their responses to mechanical stresses during flow through microfluidic devices. 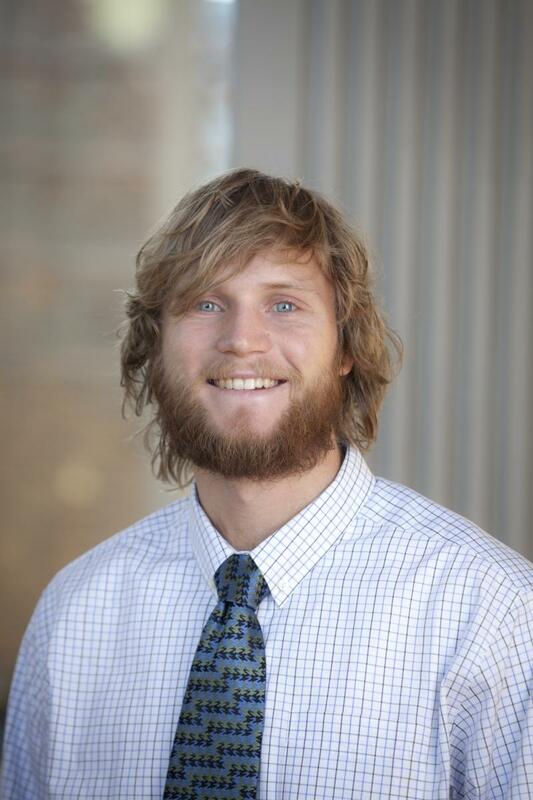 James Polans (Chambers Scholar) is a third year Ph.D. student in the department of Biomedical Engineering. Prior to his matriculation at Duke, James graduated with highest honors from the University of Illinois in Urbana-Champaign with a B.S. in 2010 and a M.S. in 2012 in Electrical and Computer Engineering. As an undergraduate, his research aimed to develop and characterize solid-state nanopores with supported phospholipid membranes. Under the advisement of Dr. Rashid Bashir, he sought to apply this technology as a next-generation gene-sequencing platform. During his Master’s degree, James worked with Dr. Brian Cunningham on the design of specialized instrumentation for photonic crystal enhanced microscopy, which is a wide-field optical label-free technique that can be used to measure refractive index changes that take place on the surfaces of photonic crystal biosensors. In particular, his work targeted the dynamic changes within the extracellular matrix of surface-bound cells. At the Fitzpatrick Institute of Photonics, James is learning under the guidance of Dr. Joseph Izatt. His work is motivated by the need to understand the complex optical characteristics of the human eye. At the core of his studies, he designs wide field-of-view instrumentation that is capable of generating 3D images of the retina, but also he is working to adapt his inventions in order to raster images directly onto the retina. This alternative display technology could permit fully immersive virtual environments to be both high resolution and head mountable. James has previously been awarded a National Science Foundation graduate research fellowship, the Dale and Wanda Weaver fellowship, and the Edward C. Jordan award for outstanding research. Daniel Salo (Chambers Fellow) is a first year PhD student under the mentorship of Dr. Nimmi Rammanujam in the Biomedical Engineering department. He graduated as a valedictorian with a B. Sc. in Biomedical Engineering from North Carolina State University in 2014. Through his undergraduate years, Daniel contributed to different research efforts at three universities. At his alma mater, Daniel investigated the sensitivity of implantable dopamine sensors for neuroscience research and the viability of an implantable glucose fuel cell for powering medical devices. One summer he spent at the City College of New York where he built a photoelastic ellipsometer for measuring semiconductor thickness, and another summer he spent at Washington University in St. Louis where he used a multispectral imager to quantitatively compare the depth penetration of the various optical windows through tissue. Now as he settles into the Tissue Optical Spectroscopy (TOpS) at Duke, Daniel plans to explore the efficacy of machine learning algorithms in image processing to differentiate cancerous and benign tissue. Callie Woods (Chambers Fellow) is a first year PhD graduate student in the department of Electrical and Computer Engineering. She received her BSE in Electrical Engineering from Princeton University in 2014. Her undergraduate research focused on designing a non-invasive system for glucose detection for diabetes. While on this project, Callie focused on noise reduction and signal enhancement within the system. 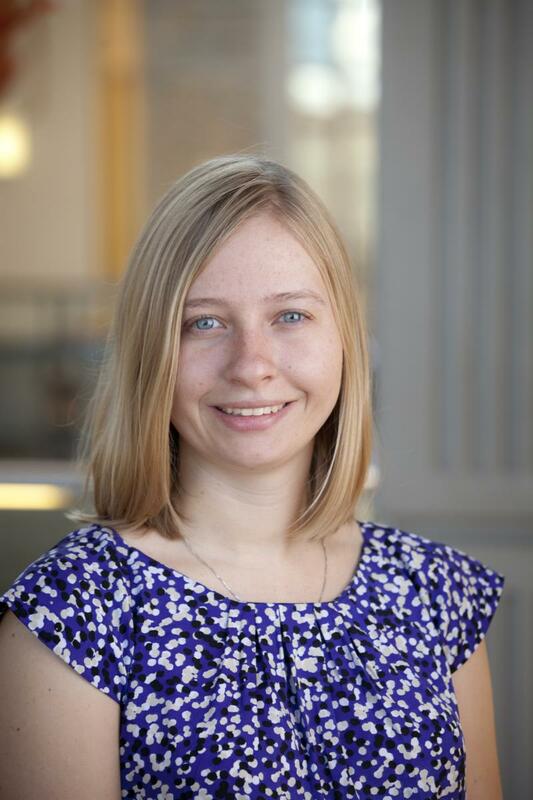 She is currently a member of Dr. Nan Jokerst's group where she looks forward to continuing to pursue research in optoelectronic devices and systems. Yang Zhao (Chambers Fellow) is a first year biomedical engineering PhD student at Duke under the mentorship of Dr. Adam Wax. He received his B. Sc. in electrical engineering from Huazhong University of Science and Technology (China) in 2008. 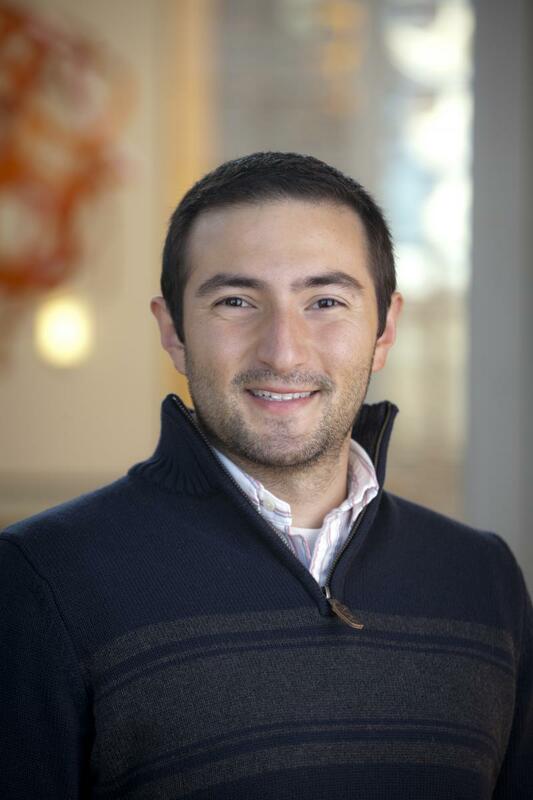 Following his bachelors, he earned his MS in Electrical Engineering from Columbia University (2012), working with Dr. Hendon to develop a Spectroscopic OCT system for the detection and diagnosis of breast lesions. Spectroscopic analysis of biological tissues can provide insight into changes in structure and function due to disease or injury, here it can be utilized to provide extra contrast to identify pre-cancerous structures in DCIS. He is also interested in the design of catheter-based ablation system in the treatment of breast carcinoma. His current research at Duke involves measurement of burn injury using spectroscopic OCT system.